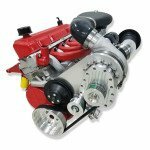 Columbia, SC: Ram has announced Heavy Duty clutch sets (pressure plate and clutch plate) for upgraded GM LS-powered vehicles, including the Camaro through 2011, with the following increases in torque capacity. Measuring 12 inches in diameter yet operating within the confines of the conventional flat-style OEM 168-tooth flywheel, Ram’s HD set transmits torque capacity of up to 550ft/lb; their Powergrip 650ft/lb; and the Powergrip HD 750ft/lb. 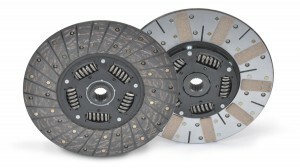 The friction linings featured on these single-plate clutch sets are either organic or metallic or a combination of both. A familiar trail blazed by Ram, they use organic materials on their HD style to provide smooth engagement and a metallic construction on their high-end Powergrip HD series. 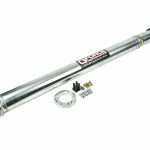 Their metallic 900 series contributes a higher co-efficient of friction with formidable holding power. On their intermediate clutch set, the Powergrip, they use both materials-placing the organic side toward the flywheel and the metallic side toward the pressure plate. Performance enthusiasts often report three common shortcomings with factory LS clutches: high pedal engagement, uneven pedal feel (initial hard pedal changing to soft), and an inability to re-engage at high engine speeds. 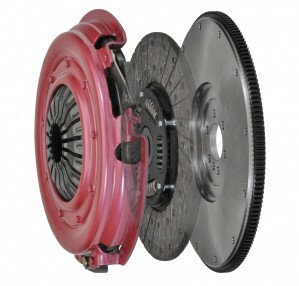 The high speed engagement difficulties are caused by the clutch diaphragm travelling over-center at full pedal travel. As a result the centrifugal force doesn’t permit re-engagement. 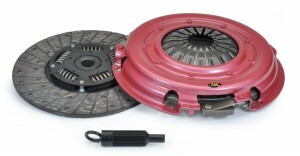 Ram has rectified this ailment by introducing a revised diaphragm with improved geometry. 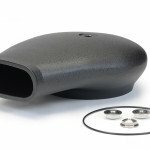 These clutch sets also induce lighter pedal effort and a more consistent, smooth feel throughout pedal travel. Ram also incorporates a helix hub to eliminate gear rattle. When modern transmissions switched from conventional gear oil to automatic transmission fluid to reduce parasitic losses, they often displayed a slight gear rattle during unloaded or lightly loaded conditions. This difficulty was overcome by incorporating the helix hub. 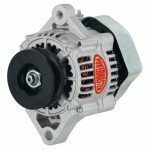 The helix hub usually comprises a set of small springs, not externally visible, around the input shaft hub to dampen or absorb shock transmitted by the input shaft. Ram’s 12in clutch sets are engineered to fit directly to the 11.5in OEM clutches with flat flywheels. However, on 2005 to current applications where recessed flywheels are standard fitment, Ram provides a replacement flat flywheel from billets of aluminum or steel.